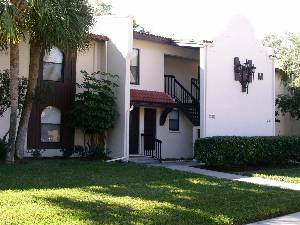 The condominium complex is made up of attractive one and two story red tile roof buildings with well maintained mature landscaping. 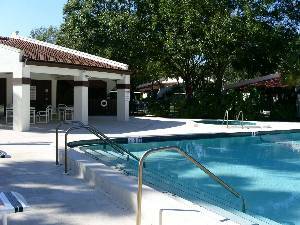 The unit is a large luxury condominium with lakefront view located in a golf course community near Lake Tarpon and the Gulf beaches. It includes the following: Over 1300 square feet of tastefully furnished living space on the second floor with a great view. Two bedrooms and two full baths. 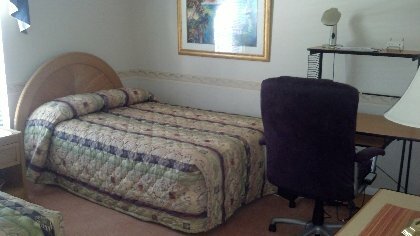 King bed in master bedroom, large walk-in closet, built in desk, color TV and lake view. Second bedroom has two double beds, walk-in closet, computer desk with high speed modem hookup. 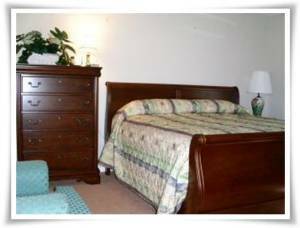 Beautifully furnished living room with queen sleeper and view of lake with mature oak and pine trees. The living room has color TV with digital cable and DVD/CD player. Designer wall mirrors and cathedral ceiling provide an attractive spacious feeling to the unit. 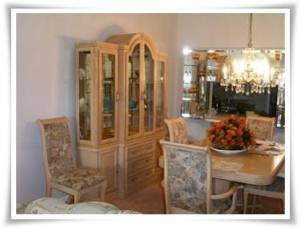 Dinning room with buffet, mirrored display case, chandelier, and table for eight is great for entertaining. 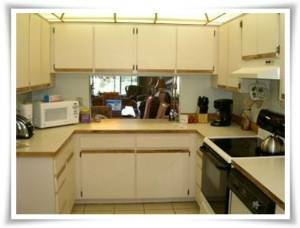 Full kitchen with Luminarium lighting and ceiling fan plus range, oven, microwave, dishwasher, disposal, refrigerator and walk-in pantry. Newer full-sized washing machine and dryer are located in the Utility area. 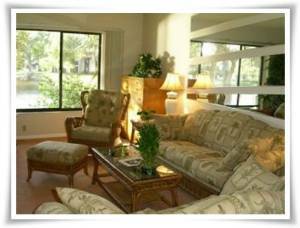 The unit is air conditioned with ceiling fans in each room and numerous decorative mirrors. There are ceramic tile floors in the entry, kitchen, master bath and utility rooms. The unit has an assigned Car port plus additional guest parking. Deposit: Reservation Deposit is nonrefundable if renter does not arrive. However once the renter arrives, the Reservation Deposit becomes the Security deposit and it is refundable less the cost to repair any damage or other expense. Cancellations and Refunds: Rental fee and taxes are due one month in advance. They are refundable if cancellation is made by the check-in date. Other Fees: High speed internet is avaliable for $30.00/month. 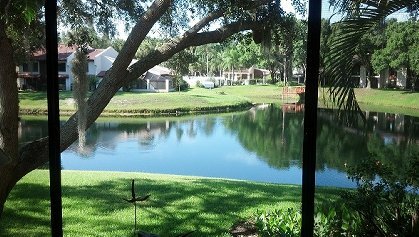 Rates include water, sewer, trash pickup, digital cable, local and long distance phone in US,and up to $100 per month of electric.